It’s been a strange few hours, from the late-night publication of a Page Six report that Lander, 38, had secretly given birth to a child last year, and that Kraft, 76, is the father, to the even later-night response from the Patriots. (The Post has since updated its story with the statement.) But it’s not much of a stretch to assume that the child’s paternity is something Kraft would like sorted out publicly—to say nothing of the interest of his four sons in clearing that up. The two were not seen together for much of 2016 and 2017, but have reappeared publicly, with Kraft and Lander attending the Grammys and the NBA All-Star Game together. They’re expected to attend Sunday’s Academy Awards. 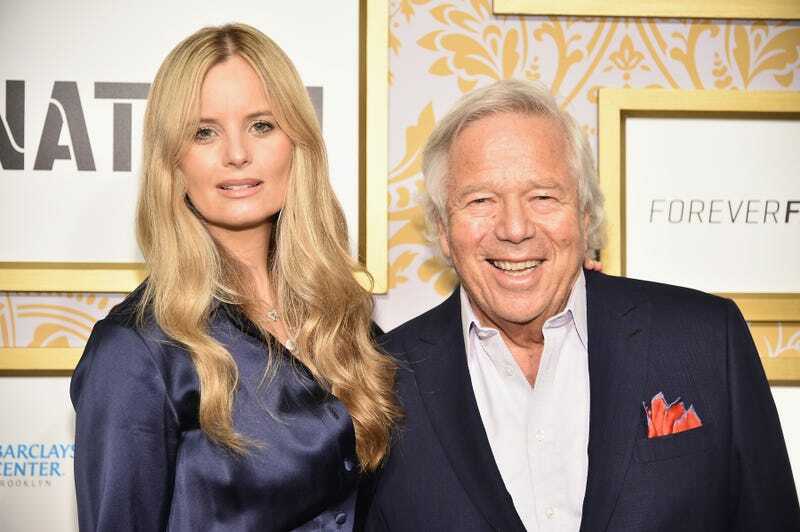 Sources say that Kraft is “taking full care of Ricki and the baby,” and he has bought her a Los Angeles mansion and made some sizable financial investments on her behalf.